Descendants of a bison herd captured and sent to Canada more than a century ago will be relocated to a Montana American Indian reservation next month, in what tribal leaders bill as a homecoming for a species emblematic of their traditions. The shipment of animals from Alberta's Elk Island National Park to the Blackfeet Indian Reservation follows a 2014 treaty among tribes in the United States and Canada. That agreement aims to restore bison to areas of the Rocky Mountains and Great Plains where millions once roamed. "For thousands of years the Blackfeet lived among the buffalo here. The buffalo sustained our way of life, provided our food, clothing, shelter," Blackfeet Chairman Harry Barnes said. "It became part of our spiritual being. We want to return the buffalo." The 89 plains bison, also known as buffalo, will form the nucleus of a herd that tribal leaders envision will soon roam freely across a vast landscape: the Blackfeet reservation, nearby Glacier National Park and the Badger-Two Medicine wilderness — more than 4,000 square miles combined. Bison were hunted to near-extinction in the late 1800s as European settlers advanced across the once-open American West. Most of the animals that survive today are in commercial herds, raised for their meat and typically interbred with cattle. 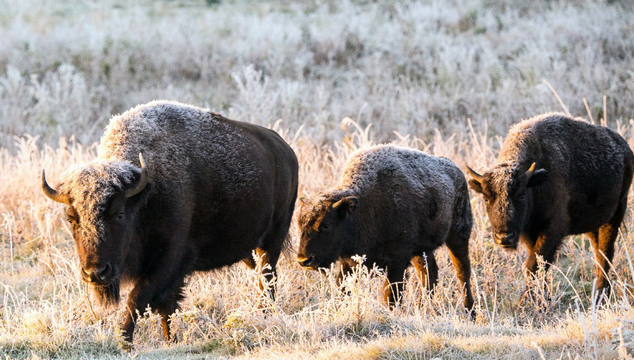 The Blackfeet have a commercial bison herd established in 1972 that numbers more than 400 animals. 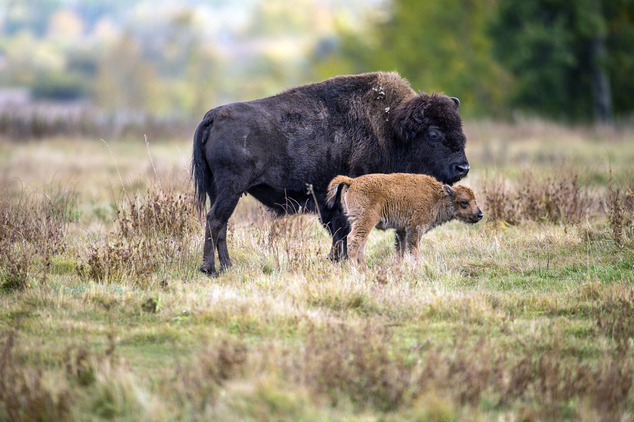 The lineage of Elk Island's bison, which experts say are free of cattle genes, traces back to a small group of animals captured by several American Indians on Blackfeet land just south of Canada. Those bison were later sold to two men, Charles Allard and Michel Pablo, who formed what became known as the Pablo-Allard herd. By the early 1900s, the Pablo-Allard herd was said to be the largest collection of the animals remaining in the U.S.
After U.S. officials rejected a sale offer from Pablo, the Canadian government purchased most of the bison. The animals were then shipped train from Ravalli, Montana, to Elk Island, according to park officials and Western historians. "They've made a big circle, but now they're coming home," said Ervin Carlson, a Blackfeet member and president of the Intertribal Buffalo Council. 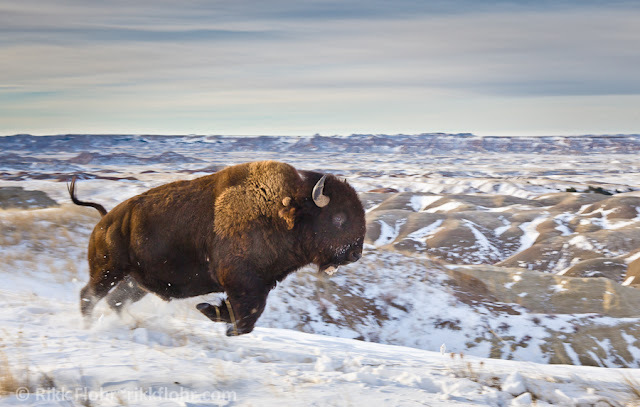 The relocation comes as the restoration of genetically-pure bison to the West's grasslands and forests have gained traction. The efforts include the relocation of some genetically-pure bison from Yellowstone National Park to two Indian reservations in eastern and central Montana. The tribes — the Assiniboine and Sioux Tribes of the Fort Peck Reservation and the Assiniboine and Gros Ventre Tribes of the Fort Belknap Reservations — are signatories to the 2014 treaty. But ranchers and landowners near the reservations have strongly opposed the tribes' plans, driven by concerns over disease and the prospect of bison competing with cattle for grass. Brucellosis, the disease found in Yellowstone's bison herds, is absent from Canada's Elk Island, according to the park's superintendent, Stephen Flemming. "The difficulty (with Yellowstone bison) is the stigma attached to them. In this case, the animals (coming from Canada) have never been exposed to brucellosis," said Keith Aune with the Wildlife Conservation Society, which has been working with the Blackfeet on their bison program. Over the past five years, Flemming said, about 180 Elk Island bison were relocated to form a private herd maintained by the American Prairie Reserve, which controls a large area between the Fort Peck and Fort Belknap reservations. Those animals, too, have met some resistance from ranchers, but the absence of brucellosis has largely neutralized that issue as a point of contention. The Blackfeet will loan 20 of the Elk Island bison to the Oakland Zoo in California for a special exhibit slated to open this fall, according to tribal officials and the zoo's president, Joel Parrott. Offspring from the animals would be returned to Montana, and there are plans to promote eco-tours to the Blackfeet Reservation among zoo patrons. "Bison historically are native California animals, too," Parrott said. "We're going to highlight the efforts of the Blackfeet. A big part of this which is so unique is the return of buffalo to tribal lands after all these years." 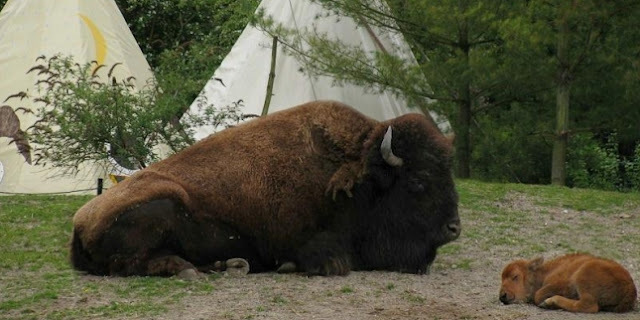 Responses to "Bison coming "home" to Montana Indian reservation after 140 years"